Cloud accounting software company, Xero (ASX:XRO), has revealed that its decision to migrate its hosting from Rackspace to Amazon Web Services (AWS) has impacted its half-yearly financial performance. The company, dual-listed on the Australian Securities Exchange (ASX) and the New Zealand Exchange (NZX), told shareholders on November 3 that the duplicate platform costs of transitioning from Rackspace to AWS has hit its financial performance for the period. In its half-yearly financial documents, Xero reported a net loss after tax of $NZ43.9 million for the period, a 0.9 per cent improvement on the company’s $NZ44.3 million loss for the same period last year. The company’s cost of revenue for the six-month period ending Spetember, much of which is attributed to hosting, grew by 43 per cent, to $NZ33.8 million, largely as a result of the duplicate hosting costs it has had to bear during its ongoing migration to AWS. “Hosting costs were impacted primarily by the transition of the hosting platform to AWS, which required running two hosting platforms in parallel for most of the six months ended 30 September 2016,” the company told shareholders. The latest results come just two months after the company overcame what it refers to as “the biggest hurdle” in its move to AWS, which saw it undergo several hours of planned downtime to migrate its shared services from long-time partner, Rackspace, to its new platform at AWS. “For our engineers, it was the technological equivalent of performing open heart surgery. There have been many early mornings and many late nights to help make this happen," Xero chief platform officer, Duncan Richie, said in a blog post at the time. "But with hard work, we’re now more than halfway there." “The move to AWS is effectively part two in our cloud journey. As we have grown our customer base faster than the rest of the industry, we have needed to look at how we continue to provide a beautiful accounting experience as we scale, while delivering innovation to our products and reducing the potential for service downtime. “Our expertise and experimentation in this area led us to identify AWS as the best platform to grow past 1 million customers across more than 180 countries." Xero began moving infrastructure projects to AWS in 2015, as the first step in the “next evolution” of its platform. At the time, the company was running more than 600 servers and had to manage over half a petabyte of production data, and said that AWS would complement its application architecture and the pace of Xero’s business. In its latest results, the company said its transition to AWS is now nearing completion, and is expected to be wrapped up in the second half of the year. When completed, it is expected to give Xero the ability to leverage machine learning technology, speed up innovation, improve margins, and ensure increased up-time. 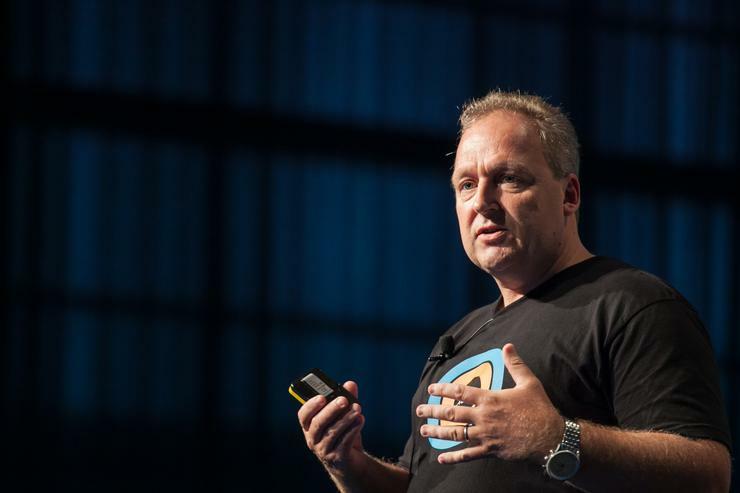 Shareholders were told that, thanks to its transition to AWS, Xero is well-positioned to capitalise on its new-found machine learning capability, which it believes will “redefine” accounting in coming years. “It’s a huge achievement to get through this massive transition,” Xero chief, Rod Drury, said in a statement. “We expect all business software vendors to re-platform over the next few years so they, too, may take advantage of the commoditised innovation services in the larger public cloud platforms. “The network effect of strategic partnerships with top banks, financial institutions, and global technology companies, combined with Xero’s product and platform, has created an opportunity to pull away from the competition and leverage the significant white space in the global small business market,” he said. Meanwhile, Xero’s operating revenue for the six-month period rose by $NZ44.6 million, or 48 per cent, compared to the same period the previous year, to $NZ137.2 million. At the same time, the company saw its customer numbers balloon by 45 per cent year-on-year, ending the period with 862,000 subscribers, with 269,000 added in the 12 months to September 2016. At the time of publication, Xero's shares were trading at $16.55 on the ASX.